This tyre will fit rims of ETRTO 540, 559, 590, 622 x 21C. It has a specially constructed sidewall which after inflation will wedge itself against the rim lips and form a non-slip interface. The tyre wil sit mostly inside the rim and is therefore protected from side impacts. No need to glue this tyre onto the rim. It is also virtually impossible to roll it off the rim. 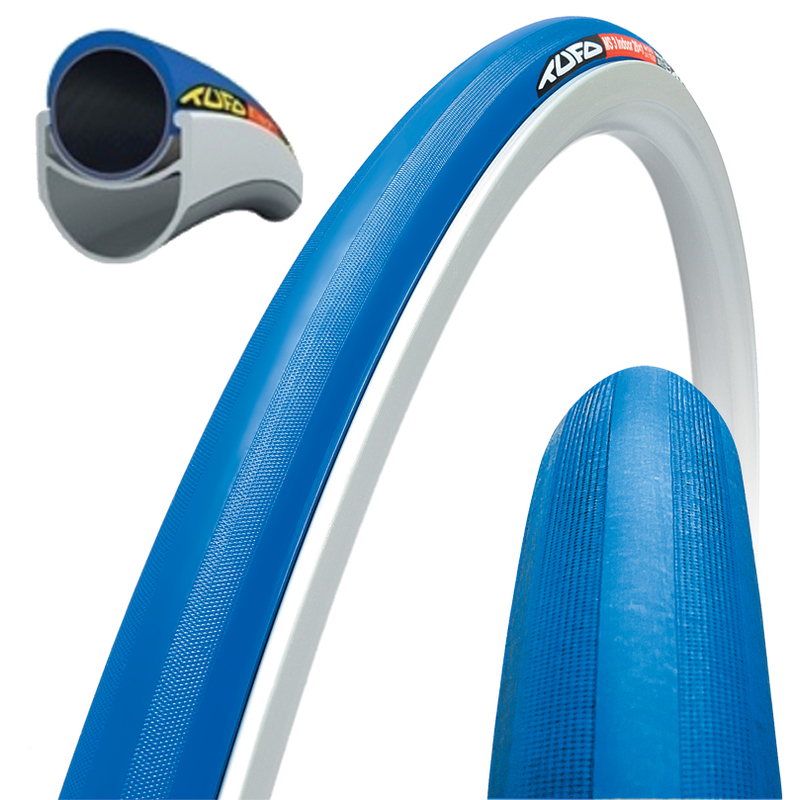 Inflate to 12-16 bar (175-230 PSI). TPI count 60 sidewall, 120 under the tread. 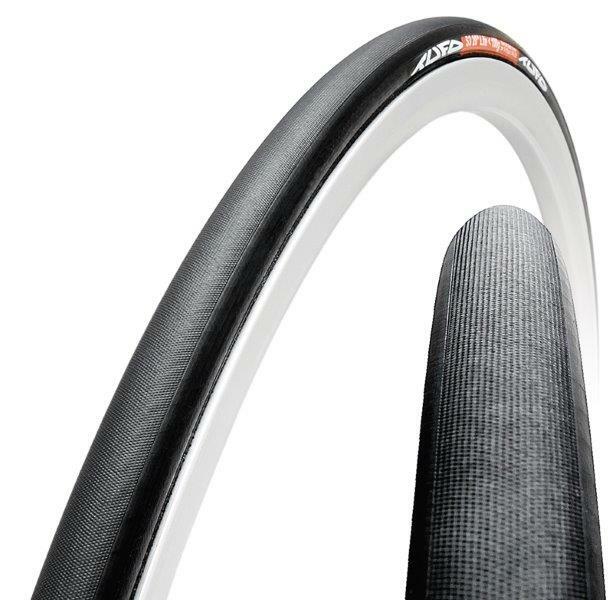 This tyre will fit rims of ETRTO 540 x 19C. It is safely attached to the rim with the special bead profile Installation is fast and easy. No need to glue this tyre onto the rim. The special BIC Silica tread compound in conjunction with an ideal tread pattern provides excellent traction on all types of indoor surfaces. 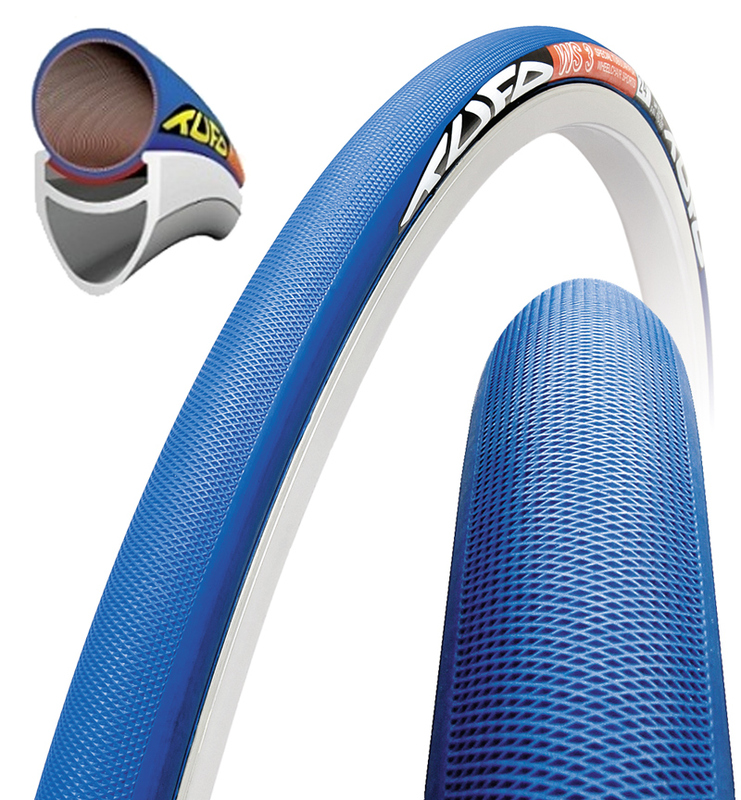 A tubular tyre of guaranteed specified weight with excellent traction on all surfaces. Sufficient mileage for intensive racing and training. Suitable for wheelchair racing disciplines. Intended for front wheels of racing wheelchairs.